After years of attempts, Nalle Hukkataival made history in 2016 by climbing Burden of Dreams in Finland. 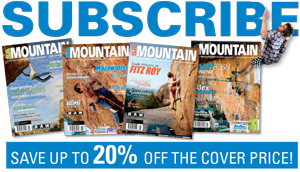 He graded the problem V17 (9A), making it the first climb of this difficulty in the world. Meanwhile, Charles Albert, of Fontainebleau, France, was putting up some wildly difficult blocs in his home area… and all barefoot. 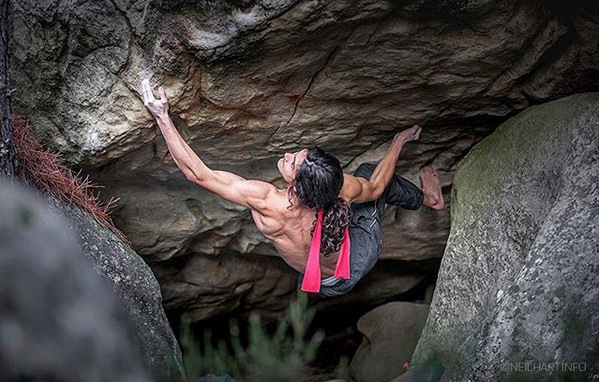 Now, Albert has made the first ascent of the world’s second V17, No Kpote Only in Rocher Brûlé, Fontainebleau, France, sending it in only 20 sessions, and, of course, doing it without shoes.